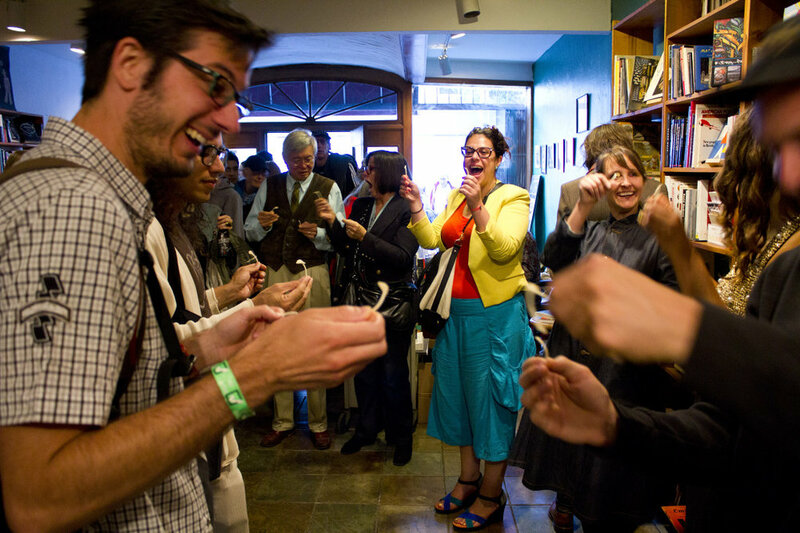 Wishbones (2012 + 2013) was performed at both Southern Exposure and Adobe Books Gallery in San Francisco. As participants entered the galleries they were offered a wishbone. Johnson facilitated the wish-making process by asking them to think about what they really wanted, take a deep breath and break the bone. When facing an economic recession, ongoing war, and a housing crisis, she was curious to find out what topics people were wishing about, what are they wishing upon, and how frequently they are doing so. 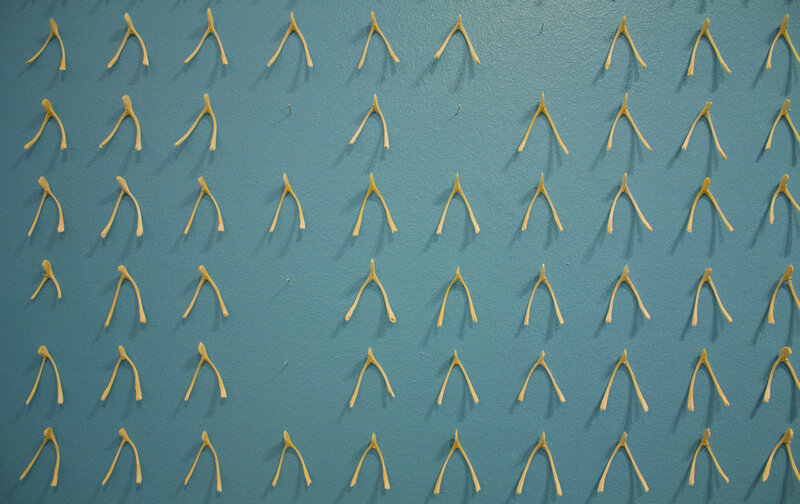 Wishbones later became one component of The Center for Wish Research (2013), an exhibition and participatory project at Central School Project. Created in collaboration with Kari Marboe, the artists considered the form, function, and history behind the objects we wish upon. By beginning with an act generally deemed innocuous, the artists sparked conversations with residents and visitors about their hopes and fears regarding topics ranging from the economic recession to the underfunding of the school district. 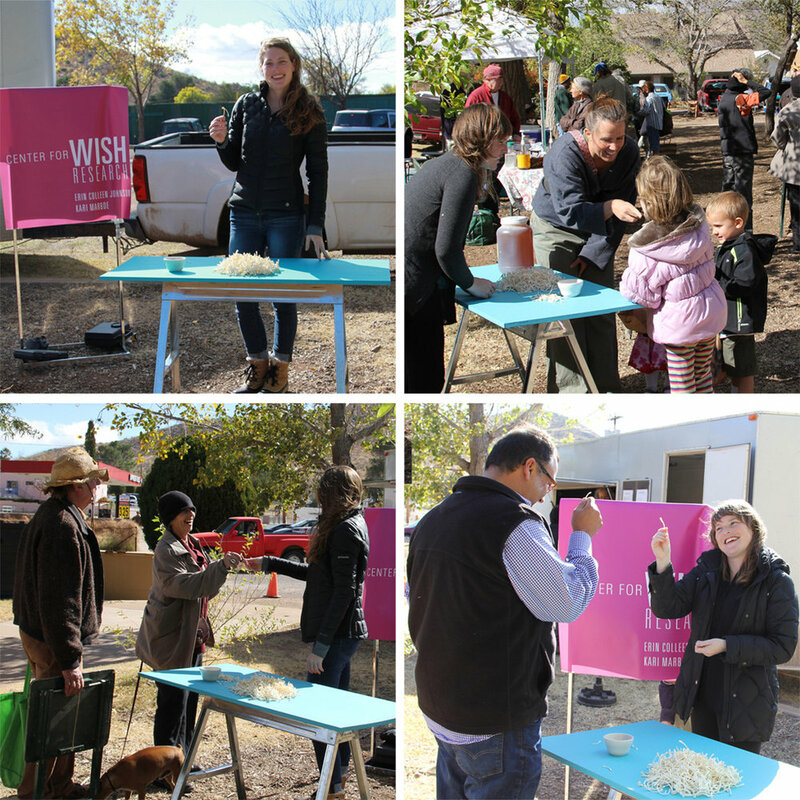 Marboe and Johnson held free public programs with wishbones, birthday cupcakes, and a mobile wishing well at locations all over Bisbee, a post-mining town of Southern Arizona, during their week long stay. Locations included Bisbee High School, Grassy Park, the farmer’s market, and inside Central School Project. 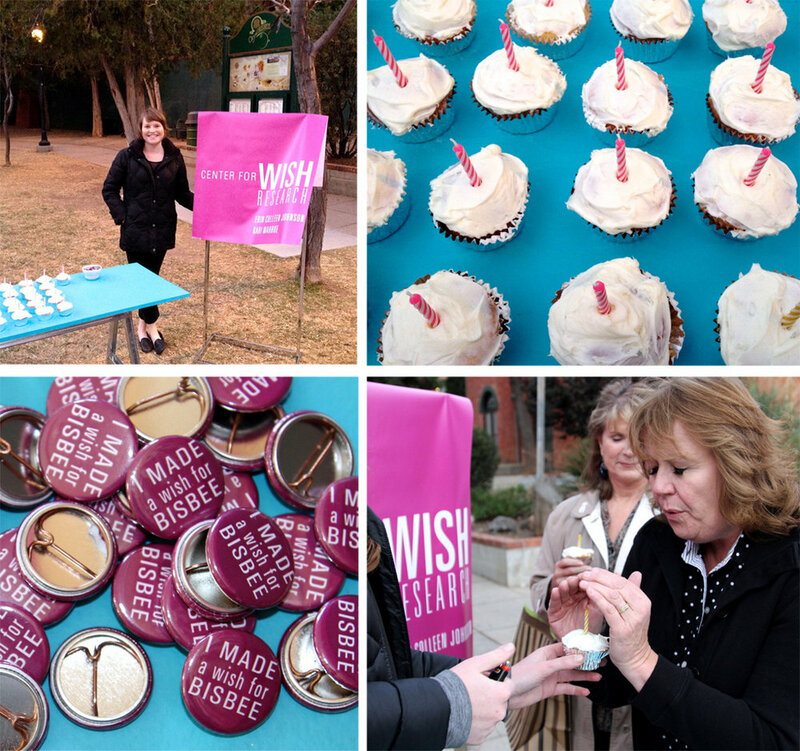 Every participant was given a button that read “I made a wish for Bisbee.” By the end of the project over four hundred wishes had been made and the buttons were traveling around town on coats, backpacks and hats.